When your plane shudders, when the plane seemingly plummets, when the beverage cart has been locked down, and the cabin attendants are strapped in, you attempt to renew your acquaintance with God. In my case, flying through extreme turbulence over the North Atlantic, I envisioned Rose clinging to ice-clad debris while the Titanic slowly sank into black water. A water landing is one thing; landing in cold water is a step too far. I was travelling alone from London to Atlanta and then on to Denver. The date was 9/11/01. Turbulence had set everyone on edge. I remember surreptitiously reading the plastic-coated “in case of evacuation” instructions in the forward seat pocket. Would we taxi onto a placid ocean surface or would we dive in head first? I took a deep breath and tried to calm down. And at that point, the pilot’s voice came over the inter-com: “I have bad news.” His announcement wasn’t too startling because I already knew things weren’t going well. On take-off, our flight was less than half-full. As soon as we were airborne, passengers moved about looking for seats with more room. Like others seated in close proximity, my seat-mate moved away. Like most passengers, my seatmate and I had exchanged a brief greeting as we awaited take-off. But on hearing the bad news, all passengers returned to their assigned seats and the company of the only “family” they were likely to have for the duration of the flight. I was warmed by this – this taking comfort from strangers. Westbound, International flights that were short of midway to the East coast returned to their point of departure. Those which had passed the mid-point were destined for Canada. My Delta flight was on its way to St. John’s, Newfoundland where we were the first of 26 flights to land. Quite the surprise for St. John’s in that typically the airport processed only three international flights a week. Once we landed, we parked on the tarmac at the far end of the runway. Three hours passed. The official story was that the people of St. John’s were preparing for the unexpected arrival of thousands of guests. My guess is that officials were studying each plane’s flight manifest. Were more terrorists aboard any of the flights? In actuality, both the official story and my conjecture were probably true. Again, our most capable pilot took a pro-active move. He would open the back door once an hour, so the smokers could gather there and take a calming smoke. Finally we were allowed to disembark. We could only take the clothing we were wearing, our passports, and our money. Nothing else. The tarmac glistened glassy in the downpour. Buses transported us from the plane, to airport passport control, no to the local ice rink where we sat clustered by individual planes. The Red Cross plied us with blankets and hot chocolate. The passengers off most flights were woefully uninformed. The Russians, in particular, were hysterical. Again and again, an announcement came over the public address system. “Anyone, anyone… does anyone speak Russian!” While the planes had been parked on the runway, the people of St. John’s had pulled off a miracle by temporarily rigging additional phone lines which would allow each of us to make a free, one-minute call. Meanwhile, local authorities had asked the populace for beds and hospitality. My flight was to be housed at St. Mary’s Sacred Heart Regional High School. As our bus approached the school, we saw a long line of cars slowly snaking their way to the school’s front door. Each car would pause just a second – long enough to throw blankets and pillows out the window. Students stood ready to grab the bedding and take it into the school. Meanwhile, the call had gone out for additional wrestling mats – four sections, accordion’d for portability. I was the last person assigned to a particular classroom. Walking in, I saw that only one mat was left. Two women lay next to one another, and two spaces were left. A Chinese man stood looking at the mat. He was obviously perplexed. Thinking to make him more comfortable, I told him that instead of feeling trapped between two women, he might feel more comfortable sleeping next to me on the outside. 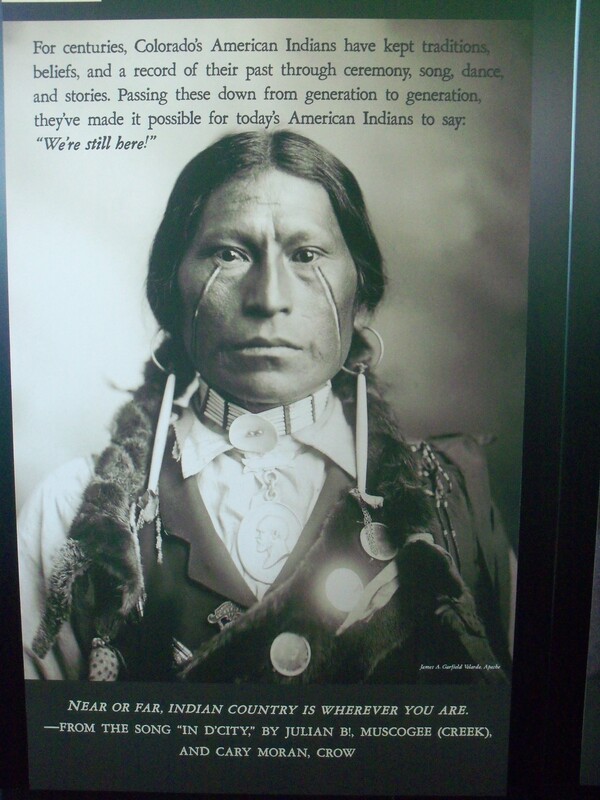 Maybe he did not speak English. Regardless, he beat a hasty retreat, and I did not see him for the duration of our stay. My blanket and pillow were warm – just off someone’s bed. I was so touched. I can’t say enough for the staff and students at St. Mary’s. All meals were served in the cafeteria. Student musicians entertained at lunch and dinner. Free manicures, beauty salon trips, pub crawls, art classes, and visits to historical and natural history sites were on-tap every day. Three days of “camp” were on-offer for to children. We were allowed to watch the news unfolding on the TV, but we were encouraged to be out-and-about. I tried hard to journal my experience, but every time I sat in a corner and tried to write, a student would interrupt and whisk me away to some activity. Sitting alone was discouraged. On the third day, Wal-Mart came through wit free toiletries and underwear. Ah… lovely. Finally three days of tension and sweat were washed away in the showers. As my flight was the first to land in St. John’s, we were the first flight out. Imagine my shock at landing in Atlanta. The path we walked from the plane to the terminal was solid with employees standing shoulder-to-shoulder. They were clapping and cheering. I am not sure why. While most Americans were glued to the news, I was basking in the love and care of strangers who took me in as one of their own. I may have forgotten some of the details, but I will never forget the discrepancy between my experience and that of others who lived the horror of 9/11 in person or second-hand through the news media. Intellectually, I understand the disconnect, but emotionally I am still at St. Mary’s Sacred Heart – cared for by a community of loving people. Where oh where has Colorado’s open space gone? 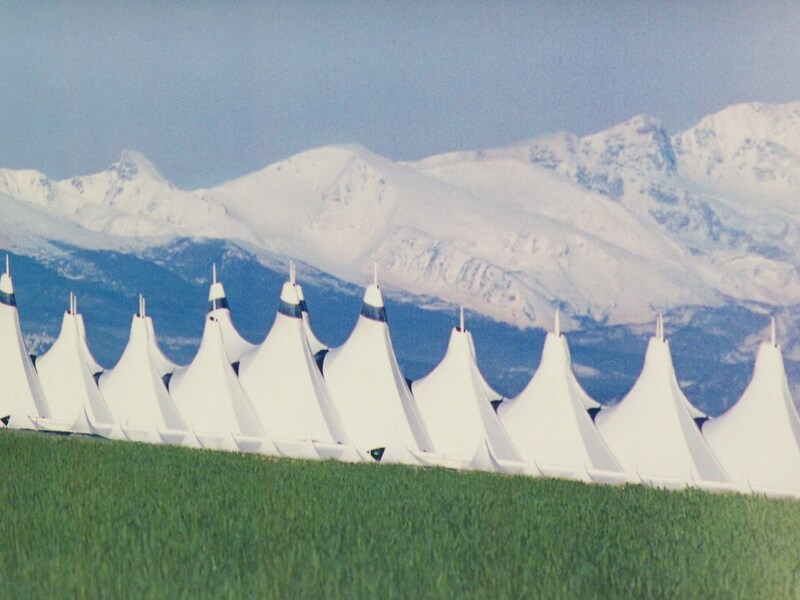 Where are the tepees and a glimpse of our heritage? 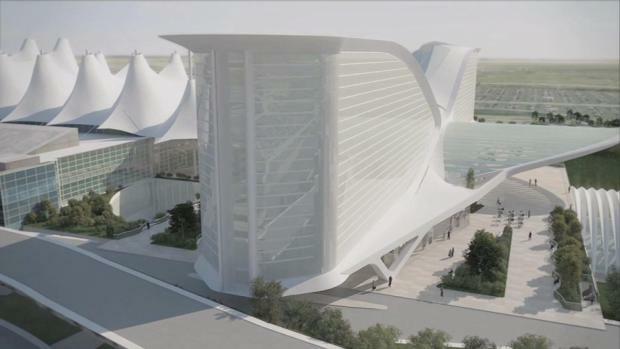 The Westin Hotel will dwarf Jeppesen Terminal and obliterate its symbolism. I am not against growth, but surely the airport authority might have chosen a more sympathetic design in keeping with the existing terminal. Denver Colorado is not Dubai. This entry was posted in Uncategorized and tagged 9/11 terrorist attack, Denver International Airport, DIA's new Westin Hotel and Light Rail Station, Jeppesen Terminal, St. John's Newfoundland, St. Mary's Sacred Heart Regional High School, Twin Towers. Bookmark the permalink. I’ve always felt there is great comfort in caring for others, so you did a service to your pilot and your hosts in simply surrendering to their care. How can we lose faith in the world when the loving hearts so far out number the evil ones? You speak of “surrender.” A good word choice. To accept the care of others not only nurtures ourselves but also rewards those who are willing to give. Thanks for reading, Detour.